This is a sweet and delicately flavored red meat. Yak is juicier than buffalo and elk, and never gamey. It is lighter tasting than beef, never greasy. This all-natural premium lean meat is never bland or mushy. This most desirable flavor and “feel” for discerning palettes come from its lean tender meat and natural oils. Once you try Yak, you’ll be back!! Our Cryovac clear packaging extends shelf life and enhances freshness. You can taste the sweet difference of our premium quality, aged meats; without the heavy chemical flavors from saturated fats, growth enhancers, and environmental pollutants. You will love it……… But only if you are willing to try it!! Healthier to eat than skinless chicken and most fish!! Yes, that’s right!! This naturally ultralean dark red meat (95% to 97% fat free overall) is very juicy due to it’s high percentages of Omega 3 oils, CLA’s ( Conjugated Linoleic Acids ), Oleic Acids,and Stearic Acids, (35% higher than beef as a percentage of fats that are good for us). At the same time, Yak meat is very low in Palmitic Acid which is bad for us (30% less than beef as a percentage of fats, and 120% less than beef as a percentage of meat). Yak remains higher in protein, solids, minerals, and vitamins than beef; while scoring much lower in saturated fats, cholesterol, triglycerides, and calories than beef!! NO additives, NO growth hormones, NO steroids, NO fed antibiotics, NO fed animal by-products, NO artificial colors, NO chemical residues, NO mercury contamination (as in most fish), NOTHING ARTIFICIAL, yields an All-Natural meat without contaminants. The health and longevity of the Himalayan Peoples are attributed to their eating Yak as their primary food source. Our grazing practices encourage enlarged and improved grasslands and native herb meadows. Our Yaks are raised under humane and even idyllic conditions by family ranchers who care for the environment and the animals. We pasture finish (no feedlots) and process locally (USDA inspected facilities and processing)!! Circle F Ranch has the following cuts of meat and packages available. All our meat is USDA processed and of the highest quality. YAK BURGER—95-98% Lean, No added fillers or fat from other sources. 100% yak. 100% yummy! 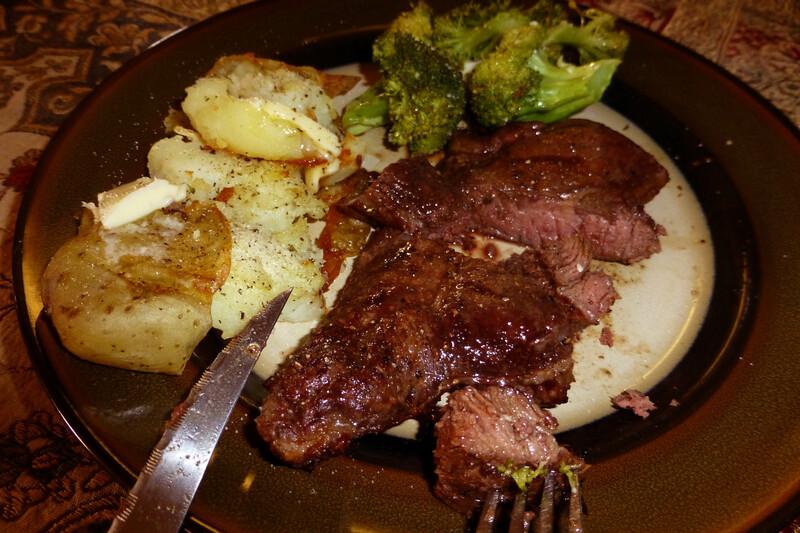 YAK STEAKS—Lean and luscious, yak steaks have a deliciousness that is incomparable! Yak New York Steak (Striploin)………………..…..30.00/lb. SPECIALTY CUTS/PIECES—Looking for that special touch for you next meal? How about a Yak Standing Rib Roast as the center piece for that milestone dinner? Try some Yak-Kabobs on the grill; healthy and delicious soup or stew made from all natural yak soup bones; fantastic yak fajitas! Yak Soup Bones (with meat)………………………….…….6.50/lb. All Prices in US Dollars. Prices subject to change without notice. Please contact us for the most current prices. To keep that sweet, delicate, juicy flavor; do not over heat!! Yak steaks, filets, and burgers finish faster on the grill, in the pan, or in the oven than beef. In order to fully appreciate the taste and juiciness of this flavorful delicacy, DO NOT FINISH BEYOND MEDIUM RARE. In fact, you should remove Yak from the heat at rare, so it will finish to medium rare on the plate on its own. If you desire rare Yak on the plate, remove from heat while still red in the center. Yak never has a “bloody” flavor associated with rare beef. For optimum enjoyment of this sweet, delicate Yak meat, use only mild flavor enhancing condiments like salt, pepper, garlic, etc. For Yak burgers we recommend a toasted bun with lettuce, tomato, and mayo or Ranch dressing. For Yak Filets use a Bernaise sauce, a Hollandaise sauce , or a fruit sauce such as apricot, peach, apple, cherry and plum. Never overpower the delicate taste of yak meat! 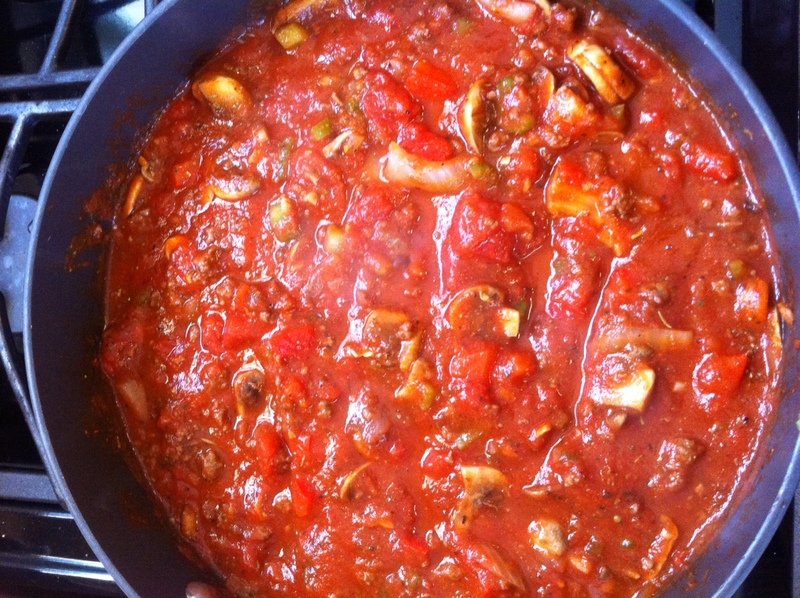 Homemade Spaghetti Sauce made with yak burger. The microwaves change the chemistry and the flavor and the smell of this wonderful delicate meat. Do you ship meat to other states? I live in Florida.